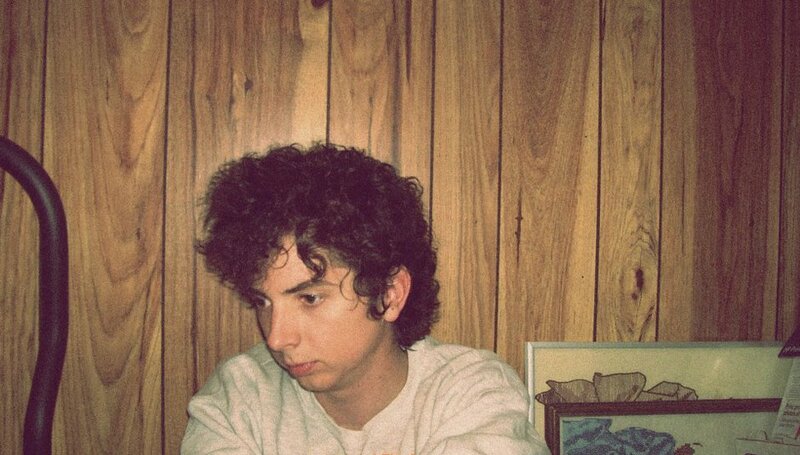 The stratospheric rise of Trevor Powers, aka Youth Lagoon, is nothing short of incredible. His debut album, Year of Hibernation, was rightly lauded as one of the breakthrough releases of last year. With its concise length and overawing sense of heartfelt emotion coursing through its whole, Powers has managed to amass an adoring fanbase whilst cutting through any potential jibes of faddiness, welding a unique sound that demands longevity that even the so-called seasoned pros may have lusted after given his tender age of just 22. Adored by online music communities worldwide, Youth Lagoon has struck a hopeful chord for those demanding a sense of realism out of the hype machine. DiS: What was the experience like after ‘July’ had such a massive reaction and garnered you this acclaim and new fan base? Powers: It was definitely surprising. I remember I was sitting at home and kind of had nothing better to do, because I was just going to school and studying. So after I’d get home, I’d get online because blogs would be posting it, so I just followed it. It was really surreal to watch. I mean, the entire album was recorded with a mindset of just doing it the way I wanted to do it, so July was the start of seeing things ascending up the ladder with all these websites. It was funny, because I took the initiative to email blogs to get people to post it or start passing it on and a lot of the blogs I emailed didn’t post it. In between classes I would go to the college library and email these blogs – a handful would post it but then a lot of them, it probably just got lost in their inbox. But it was cool to see it climb that ladder. DiS: Do you still feel connected to that world? Do you still follow those blogs, stay in touch? Powers: Yeah. I think it’s cool that so much music now…there’s such much fuel placed on it by these small blogs. Because I think there’s so much power behind it – like it’s the power of the people, and that’s how music spreads now. Because before blogs existed, even the internet to a certain degree, there would be a few record label people or a few big magazine people and it would take a band to get to a certain level before people would even consider covering it. But nowadays, just the average kid has the power to just do whatever they like, and it could blow up on the internet. I think it’s changed the whole face of the game. DiS: It’s been such a short process to get where you are now, and there’s obviously so much room for you to go even further? But does the pace at which everything has happened and the level of expectation that has come so swiftly at all daunt you? Do you think it’ll affect Youth Lagoon’s shelf life? Powers: I don’t know, I honestly don’t think about it too much. As far as the shelf life of it all goes, I’m not concerned about it. Just because I think people latch on to things that they can really relate to. Like, with me, the whole reason I play music is because it’s not to make the next pop song, or whatever. It’s actually for myself. So I’m never really concerned. But I’ve had that question before, as far as ‘fads’ go – but I’ve never been concerned with that. I don’t even really pay attention where these ‘fads’ are going. I just make music that means something to me. As long as artists create something that means something to them, then it will live on. End of story. DiS: With Year of Hibernation being finished even before the time Fat Possum got hold of it, were you totally resolute about how it was complete? Powers: It was definitely an ‘end of story’ kind of thing with that album. It’s a very short album, but it didn’t feel right adding anything like extra or bonus tracks onto it. I think albums should be that way – like, you record an album and it’s very much an end of the story, because that was your party of the story for that part of life and you can move on. DiS: So when people talk about the confidence and maturity in your music that you have, at such a young age, do you find that flattering or is it a point of being like ‘No, I can still better myself’? Powers: I think it’s just another one of those things that I ignore. As a songwriter, you do naturally evolve. The day that you try to evolve is the day that you’ll fail. So it’s all about just writing what feels right. With Year of Hibernation, it was all very personal. But with the new music I’ve been writing, it has a broader worldview just because of everything that’s been going on around me. DiS: Is being as open and laid-bare as you are, lyrically, a conscious decision? Powers: With this album, it was very direct. But with other ideas, I guess it will be more abstract. I like the idea of people wrestling with what you’re trying to say. Everything stems from a personal outlook just because it’s you writing it, but I can feel myself writing things in a more abstract way, from more of an outsider’s perspective. DiS: Were any of the themes geographically related, to where you grew up? Powers: Well, the hibernation side of things wasn’t physical. More a mental sense of isolation. I was still spending a lot of time with friends, but I was going through a lot of hard times. So the whole thing had this sense of being distant to me. Like, I would be with people mentally but I would actually be in a totally different state of mind. DiS: Did your friends ever call you on it? Did they recognise this distance? Were they concerned at all? Powers: Not really, because I’m pretty good at putting on a mask. Even now, I’m kind of going through it, but you probably wouldn’t know just because I’m good at putting on this mask. Maybe my mind is always moving but I tend to always have this Tug of War type of thing going on mentally and the only way I know how to keep going is by putting a mask on it. DiS: Is that a perpetual thing? Is it something you’re going to need to find again to go and write new stuff? Powers: Well, I mean, I feel like that now. So I think it’s kind of a perpetual thing. But I would never search too deep for motives to write. They should just happen. Luckily I don’t have to dig for ideas – usually there’s enough things in my mental state that are worth writing about! DiS: Had you been in bands before? Powers: Jamming with all kinds of bands in high school but that was the point where I stopped playing keyboard and started to teach myself guitar. So a lot of it was just terrible punk music – that kind of music had such an influence on what people were creating. A lot of musicians ignore that that era happened, but it did. DiS: How have you found being thrust into the touring thing? Powers: Good, actually. I guess ever since I’ve been young, it’s been what I’ve always wanted to do. So to finally do it, I wouldn’t trade it for anything. DiS: How have you found playing with live with these Youth Lagoon songs? Powers: I don’t really think about it that much, I just go out there and play. But based on people’s reactions, I think it’s translated pretty well. I tend to over think a lot of things and I’ve been trying to work on that so with live shows I don’t really pay attention to anything else other than playing, having fun, just doing what I feel and then walking off stage. DiS: Are you bored of those songs? Powers: I’m not, no, I’m not. Youth Lagoon @ Mercury Lounge 11.14.2011 from Jessica Amaya on Vimeo. DiS: How are going to feel when you’re off the road and have to write again? Powers: I enjoy the writing process just as much as playing. It’s like 50/50 – taking all these songs you wrote and playing them and playing them and exploring new places, meeting new people. Coming back home and taking all that experience that you’ve had and writing new songs is just as good. There’s not one part of this that is dull to me. DiS: Do you think they’ll sound the same? Powers: No. I don’t think material should sound the same at all, even in the space of, like, a year after when something else was written. Just because if you’re living at all, and experiencing life as it should be experienced, nothing you create should be the same. Maybe some of the root ideas or influences will be the same but the overall ideas will be way different. DiS: Do you still feel influenced by the likes of Cocteau Twins and Bradford Cox? Not in a sense of emulation, but artistically? Powers: Definitely, yeah. With anything musically, it’s never purposeful or it’s never like I’m going ‘Yeah, I wanna sound just like this’, but whatever you surround yourself with kind of spits itself out somewhere along the way. With Cocteau Twins, their whole mentality on music and the way I feel like they were so ahead of their time is definitely influential. As for bringing up Bradford Cox, I think he’s one of the best modern songwriters of this era. I just think it’s because he lets his music breathe and let’s his ideas breathe. Just puts it to paper. There are still some good modern songwriters, but I don’t think a lot of them do that anymore. I think a lot of them just try to write The Next Biggest Hit. DiS: Do you think he benefits from being so prolific? If you were to become as prolific as that, would you feel as comfortable throwing your library of music out into the world or are there some things that you would just want to keep to yourself? Powers: There’s a lot of stuff that I would keep inside. There’s definitely a certain power in just recording whatever comes to mind, and with some people it works. But with myself, I guess there’s a lot of things that I would want to hold back, like in a personal notebook or something. Maybe release some of it, if it felt right. I wouldn’t feel right about anyone really seeing everything. DiS: Where do you see yourself in 5 years time? Powers: I honestly do see myself playing music until I die. I still had that mentality before anything happened with Youth Lagoon. Back then I was still trying – playing shows around the north-west, travelling around and lost a tonne of money trying to do it, because nothing had happened with my music. But ever since I was a little kid, performing music was all I’ve ever wanted to do. Whether or not people come out to shows or not, I’m still gonna be doing it. It’s a pretty simple concept, but that’s how I feel. Year of Hibernation is out now on Fat Possum.